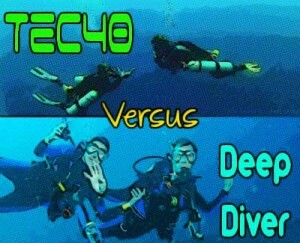 In this article, I will compare the PADI Deep Diver and Tec40 courses in detail. Both courses are available to moderately experienced recreational divers and both courses are equal in respect of the number of training dives and the qualification depth limit. So, what differentiates these courses… and which might be the best option for you? The first step in comparing the Tec40 and Deep Diver courses is to identify the training goals for each course. These are listed below. Most divers intuitively understand the concept of the Deep Diver course – it is very definitely a recreational diving course that extends your experience below the recommended maximum depth of 30m/100ft, to an absolute maximum of 40m/130ft with no decompression allowed. It provides more practice of basic scuba skills, with an emphasis on increasing comfort zones through increased knowledge and experience. There is a lot more confusion about the goal of the Tec40 course. 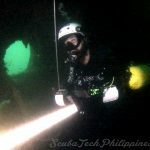 Most recreational divers have little knowledge of technical diving – to them ‘tech’ is simply some sort of ‘black art’, is dangerous and only for very skilled, very experienced advanced-level divers who want to dive mega-deep. That assumption is incorrect. In essence, you can take from the Tec40 course whatever you want. You don’t need to intend to become an actual technical diver to benefit from and enjoy, this course. 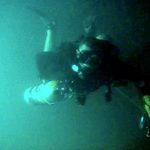 As a recreational diver only, you will benefit from this higher level training – and this will make your existing recreational deep diving safer and more enjoyable. > To improve your diving ability and provide you with additional supervised experience. 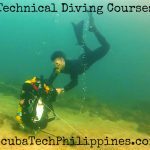 The Tec40 course can be undertaken in sidemount configuration if the student is qualified, or it can be run as a combined course WITH sidemount training. PADI define recreational deep diving as anything below 18m/60ft (to an absolute recreational maximum of 40m/130ft), but most recreational divers consider deep diving to be within the 30m/100ft to 40m/130ft range. Deep diving brings additional hazards for the diver, and most agree that it is a very prudent strategy to mitigate those hazards through increased training, the progressive development of experience and the use of appropriate equipment. Failing to do so means the diver is purely relying on luck to keep them safe – and sometimes the luck runs out. Also known as ‘Inert Gas Narcosis’, the increased pressure at depth brings about a deterioration in mental performance due to an elevated partial pressure of nitrogen in the brain. This effect is apparent in many divers below 30m/100ft, increases with depth and can vary from day-to-day. The onset can also be accelerated by CO2 retention (rapid breathing/exertion etc). 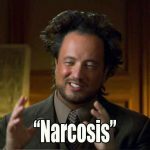 Narcosis can reduce the ability to problem solve, reduce situational awareness and can exaggerate the psychological state of the diver; leading to euphoria (carelessness) or anxiety (tendency to panic). Increasing personal experience with deeper diving allows the diver to gain more awareness of how narcosis effects them – allowing them to plan dives within parameters that anticipate and avoid narcosis onset. Most divers are aware that they absorb more nitrogen at a deeper depth and longer duration. Deep diving increases nitrogen absorption. Whilst recreational diving tables/computers limit bottom time to provide a ‘safety zone’ against the risk of DCS, there are routine cases of DCS within otherwise ‘safe’ dive profiles. In addition to limiting depth and time, there are key techniques that help increase the level of conservatism to reduce the risk of DCS, these include; the use of nitrox as a bottom and/or ascent gas, the use of more complex dive planning tools and precision buoyancy control – especially on ascent and at stops. Within recreational no-stop limits, our allowable bottom time decreases in relation to the depth that we dive to. As we enter the ‘deep diving’ range, our bottom time becomes very short; decreasing from ~20min (at 30m/100ft) to ~5min (at 40m/130ft). We also have to deal with narcosis, which brings lapses of attention. So the overall risk of accidentally exceeding a planned no-stop limit begins to increase. It is easier to over-stay a 5 minute limit than a 50-minute limit. Overstaying that limit drastically increases our risk of DCS and will mean that emergency decompression must be conducted on the ascent. 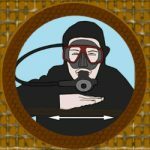 Deep divers must be very familiar with (emergency) decompression techniques and should aspire to develop their situational awareness and ability to follow an accurate dive plan with precision. As depth increases, so does our gas consumption. Novice scuba divers learn about this during their initial Open Water training – it is a result of Boyle’s Law, whereby gas density breathed increases proportionally to the pressure we are at (and breath gas at). This means that the deeper we dive, the faster we consume our gas. In the recreational deep diving range (30m/100ft to 40m/130ft) we consume gas 3-4 times quicker than we would use at the surface. 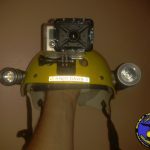 This greatly increases the risk of unexpectedly running out of gas, especially if our situational awareness is decreased by narcosis. Deep divers must become adept at dealing with out-of-gas emergencies (air-sharing techniques), team diving protocols and perform accurate gas management to ensure they have sufficient gas supply for the desired dive; through understanding their gas consumption rate (SAC/RMV) and how that relates to the depth and the choice of cylinder/s. All recreational diving focuses on one primary attribute; that the diver has direct and unimpeded access to the surface in an emergency. This means that any recreational dive can be aborted if something goes wrong and the diver can reach safety at the surface in a very short timescale. In the worst case scenario, they should be able to perform a Controlled Emergency Swimming Ascent (CESA) to the surface without gas to breath. However, as the diver progresses to greater depths, the time it takes for them to reach the surface in an emergency increases. For some, it may not be realistic to rely upon a CESA as a last-ditch survival option (and be honest, how many of us confirm our ability to CESA from depth?). As our diving depth increases, the impact of equipment failure or diver error (running out-of-gas, losing our buddy or overstaying no-stop limits) becomes much less forgiving. The deeper we dive, the more likely that a given problem could injure, or kill us. Deep divers need to accept that immediate ascent to the surface becomes a less reliable solution to preserve their lives if an emergency arises. In doing so, deep divers must become more self-sufficient and capable of resolving problems underwater. This will include using redundant life-support equipment and gas supplies. It will also include more demanding training to ensure that their proficiency in emergency and dive management skills is reliable and ingrained. Personally, I think the syllabus for the Deep Diver course is much too weak for the task at hand. It should offer a lot more. Some contentious instructors supplement that syllabus with extra training and skills, but many do not. 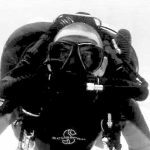 The syllabus misses many opportunities to effectively train divers for safe deep recreational diving. There is very little precision, no gas redundancy and no higher level of core scuba skill competency required. All of those factors become important when diving to a depth range that could easily cause decompression sickness or an out-of-air emergency. Both courses utilize PADI’s standard system of completing knowledge reviews and classroom lectures. The Tec40 course has a multiple-choice exam, but the Deep Diver course has no exam. The Deep Diver course theory is a continuation of the topics learnt initially on Open Water training. It adds more ‘meat to the bones’ on subjects like nitrogen narcosis, decompression sickness and the effects of pressure. It also introduces a few considerations that the diver should be aware of when venturing below 18m/60ft. Few Deep Diver students would state that the theory study was demanding. In contrast, the Tec40 course theory is much more challenging. It will be enjoyed by those students who want to develop a high level of understanding. The coursework introduces the student to a much higher level of knowledge and aims to evolve the mindset and approach that the diver has to deep diving. It covers subjects like advanced nitrox theory, where the student calculates partial-pressures and oxygen exposure over multiple dives. It deals with team-diving approaches, more complex underwater communication and the need for a self-reliant approach in the water (being self-sufficient as a member of the team). It introduces decompression theory, which enables the student to better understand how different dive planning tools track and calculate their no-stop or decompression profiles for a given dive. The Tec40 course also provides a number of ‘practical applications’, which might be considered as ‘workshops’. The first of these is a detailed session on equipment configurations. 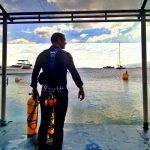 This includes how technical divers rig their equipment and how they might replicate certain best practices into their recreational diving rigs. There is also a workshop on precision dive planning, where students are introduced to laptop and/or smartphone dive planning software to create detailed dive plans that account for decompression ascents, oxygen toxicity tracking, gas consumption/management and the use of richer nitrox mixes on the ascent to increase conservatism. The Tec40 course introduces divers to new equipment choices and a spectrum of new skills. The performance standards are challenging. 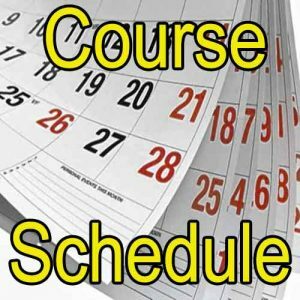 The in-water training curriculum varies drastically between the Deep Diver and Tec40 courses. Whilst both courses offer a minimum of four training dives, the Tec40 training dives are generally much longer in duration and present a challenging repertoire of new skills and protocols for the student diver to master. In contrast, the Deep Diver course focuses on extending the recreational divers’ practical experience to match the theory information they were taught on the Open Water course. The Tec40 course has many more performance requirements, all of which are assessed against defined and precise standards. 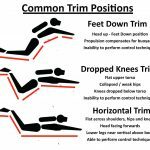 These standards develop ‘core’ scuba skills to a higher level (i.e. precision hovering in trim), develop familiarity with new equipment (doubles/pony cylinder/deco cylinder and DSMB use), introduce beneficial protocols (such as bubble checks on the descent and accurately calculating air consumption). They also introduce a plethora of new emergency management skills; such as regulator shut-down drills and long-hose air-sharing. The course ends with an actual 10-minute decompression dive – providing very real practical experience and reinforcing the value of exemplary skill development. In contrast, the Deep Diver course is more experiential; concentrating less on the provision of new skills, equipment and techniques, but providing an insight into how increased depth impacts upon the diver. This includes; colour change at depth, the compression of objects by pressure, variation in gauge readings and the influence of nitrogen narcosis. Whilst few new skills are provided for the diver to learn, existing open water skills can be refined through repeated practice. The diver conducts a variety of visual and tactile reference ascents/descents, learns to monitor their ascent rate via computer/depth gauge, practices completing safety stops and breathes from a redundant gas supply other than their buddies’ octopus. Whilst emergency decompression is taught as theory-only in Open Water course, the diver now has a chance to practice an 8 minute simulated emergency decompression scenario. The difference in approach during Dive #1 of each course is very evident. The Deep Diver course provides a non-demanding, supervised experience to a maximum depth of 30m/100ft. During this dive, the student will explore theory concepts introduced on the Open Water course; including the change of colour at depth and potential inaccuracies with depth gauges. In contrast, the Tec40 course provides a demanding confined water skill-development session, which introduces the student to a plethora of new skills, equipment and emergency protocols. The student also has practised and is assessed in performance, on applying core diving skills (like buoyancy control to a much higher standard than previously encountered. Ascent using a reference line as a visual guide only. On the second dive, the Deep Diver student experiences more Open Water theory in practice – namely the effect of pressure on varied objects as depth increases. This reinforces understanding of how different materials compress at depth – helping to put issues like wetsuit compression (and decreased buoyancy) into clear perspective. The student also does a recap of basic navigation, using a compass swim to demonstrate the importance of being able to return to their starting point. The Tec40 student has the opportunity to begin applying their newly acquired skill-set on an actual dive. The instructor will emphasize the need to maintain greater situational awareness (gas, time, depth, team) and demonstrate a precision approach to dive conduct. The student will be ‘kept on their toes’ with numerous simulated and unexpected emergencies – testing their ability to remain calm, problem solve and apply their training under pressure. The dive is planned and conducted as a simulated decompression dive. On dive #3, the Deep Diver student is given the opportunity to assess the impact of nitrogen narcosis. They complete a timed problem-solving task on the surface and then repeat that task at depth. Any difference in performance may indicate a negative impact from narcosis. In contrast, the Tec40 student is now planning and conducting supervised deco-simulation dives with a high emphasis on precision and safety. They will be using the necessary equipment with considerable familiarity and responding calmly and controlled to any simulated emergencies that are presented to them, including free-flows, gas leaks and out-of-air scenarios. The Deep Diver course finishes with a final deep dive, at the end of which the student carries out the practice of a simulated emergency decompression stop, to give them practical experience on what to do if they ever accidentally exceed a no-stop limit when diving. They will also be shown how to use an emergency air source (such as a ‘drop bottle’ at the safety stop) in case they become low-on-air on the ascent from a deep dive. The Tec40 course finishes with the student planning and conducting an assessed actual decompression dive. The dive is planned in significant detail on laptop software, including gas management and 10 minutes of actual decompression. They will use a separate, richer, nitrox mixture on the ascent to further insulate themselves from the risk of decompression illness. The student then conducts that dive and demonstrates they can follow the detailed planning with precision, whilst dealing with any unforeseen situations that may arise; to ensure the ability to perform safe and successful deep diving within recreational limits. Tec40 may appear daunting, or beyond the diving level you wish to reach, but students can take away immense learning & skill to use on recreational dives. 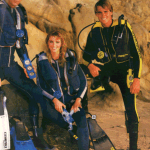 Typically, the Deep Diver course is completed in standard recreational diving equipment; a jacket BCD and single cylinder. There is no requirement for redundant air sources or other specialized equipment. A diving light is recommended and the student should carry a cutting device. The options for Tec40 are much more varied. 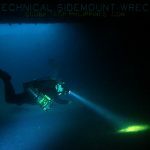 The course can be completed in a ‘full technical rig’; either backmount doubles (with isolation manifold) or sidemount (with pre-qualification or as a combined course). There is also the option to complete the course using a more familiar recreational configuration (jacket BCD), but utilizing an ‘H’ or ‘Y’ valve on the cylinder to permit regulator redundancy. Alternatively, the student can use standards recreational equipment with the addition of an adequately sized pony cylinder as a reserve. In addition, the Tec40 student learn to use a decompression cylinder with a dedicated regulator. There is also a need for critical equipment redundancy (a back-up, in case the primary equipment fails). In addition to the regulators, the student also needs to use two diving computers and/or depth-gauge and timing devices. Some instructors also require redundant buoyancy, depending on the cylinders used; if the course is conducted in a wetsuit or drysuit and the topography of the dive (if the dive is conducted on a slope or there is a reliable ascent line). The diver must carry a DSMB and reel (and will learn to use it), a communication slate and back-up cutting device. We should also consider the relative experience necessary to teach the Deep Diver course, compared to that necessary to teach the Tec40 course. I have long believed that an instructor should be qualified, expert and experienced to a higher level than what they teach. Being qualified higher than you teach ensures that the instructor can ‘cascade’ a wealth of personal experience and training expertise onto lower level courses. To qualify as a PADI Deep Dive instructor requires very little. Obviously, you need to be a scuba instructor – but the specialist experience necessary is limited only to showing proof of 25 logged dives below 18m. That’s it… and it hardly guarantees expertise in deep diving skills. 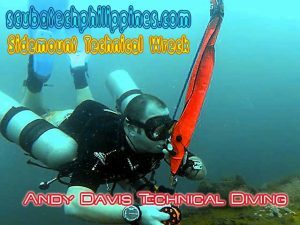 In contrast, the Tec40 instructor needs to be qualified, at least, as a Tec Instructor; meaning that they are already a Master Scuba Diver Trainer, EANx and Deep Diver instructor, at least a Tec45 level diver with at least 20 accelerated-decompression dives in doubles. Most TecRec instructors are qualified to a significantly higher level; including thousands of dives experience, trimix level diver qualifications and having qualified hundreds of Deep, EAnx and other specialist student divers. To gain high-quality skills, you need an instructor with proven ability in high-quality diving. A technical diving background offers a better assurance of instructor competency. The PADI Deep Diver and Tec40 courses will certainly appeal to different divers, depending on their diving goals and personal beliefs. The Deep Diver course remains firmly within ‘recreational’ diving, in skill and mindset, whereas the Tec40 progresses the diver into a ‘tecreational’ way of diving. 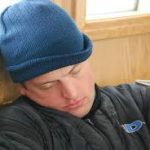 The standard Deep Diver training might be preferable for those divers simply looking for a ‘license’ to dive deep from charter boats and dive centres. Many dive operations do require the Deep Diver certification for diving below 30m/100ft – so the course satisfies that requirement. 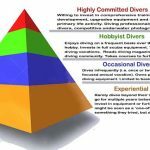 There aren’t many new skills introduced on the Deep Diver course and the performance standards are relatively easy to meet. Not many people struggle to achieve those standards. The course gives practical examples of the theory that is introduced in entry-level diving courses and offers the opportunity to gain initial deep diving experience under supervision. In contrast, the Tec40 course will provide many recreational divers with a significant challenge. Some divers appreciate challenging courses, others do not. Not only does the course introduce new equipment and skills, it also presents a much deeper level of theoretical study. 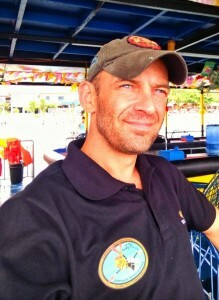 Gaining certification as a Tec40 qualified diver demands considerably more self-motivation than the Deep Diver course. 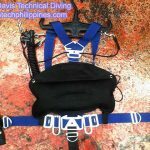 It is perfect for divers who aim to achieve perfection in their diving and are willing to put in the effort to achieve higher results. 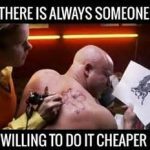 The payback is a much higher standard of diving ability, vastly greater knowledge and a wider spectrum of skills and equipment options at their disposal. Tec40 is likely to create a much safer, more confident diver, who possesses increased ability in all-around diving. It is the best option for divers who enjoy the comfort of knowing they are fully prepared and equipped to deal with all eventualities. As such, it is appealing to risk-adverse divers who wish to conduct more ‘aggressive’ recreational dives with a high level of confidence and safety. The course is also very effective at improving core scuba skills – so there is an attraction for divers who wish to develop elite level buoyancy control, perfect trim and improved propulsion and control in the water. There is a range of equipment options available with the Tec40 course. 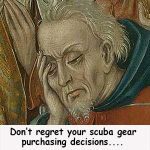 This can appeal to divers who wish to investigate a more technical approach to their diving rig, for instance; wing-style BCDs, sidemount, pony cylinders and redundant regulators. The Tec40 course contains an equipment workshop that assists the diver with gaining familiarity with those equipment options. 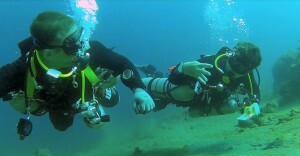 It can also be run as a combination course with sidemount training (a cost saver – 2 courses for 1). Needless to say, the Tec40 course is the ideal option for those with a potential interest in future training as a technical diver. It is the transitional course between recreational and technical diving. It provides the perfect platform from which graduates can work to develop their competency in preparation for full staged decompression and mixed-gas diving training. For some time now, I have recommended the ‘Tec40’ as a serious alternative to the Deep Diver course. 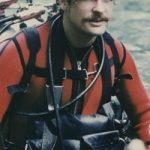 I believe that deep recreational diving presents a significant increased risk, even without entering mandatory decompression. 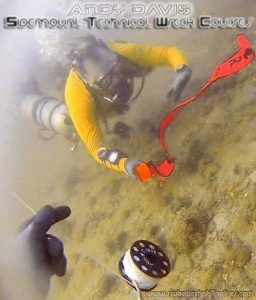 A technical approach to recreational deep diving offers the diver an opportunity to more effectively mitigate those risks through wider equipment options, a risk-adverse mindset, substantially more refined core skills, more emergency skills at their disposal and dramatically increased experience in solving problems and dealing with emergencies. 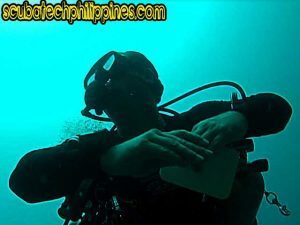 PADI website says prerequisite of Deep Diver also, but instructors can accept “proof of at least 10 dives to 30 metres/100 feet.” according to theTech Deep instructor manual. The diver must have experience of “a minimum of 30 logged dives, of which at least 10 dives were made with enriched air nitrox deeper than 18 metres / 60 feet“. The Tec40 course is described as ‘covering the gap between recreational and technical‘ diving. This grey area of diving is historically referred to as ‘advanced’ diving or the more contemporary name of ‘Tecreational‘ diving. 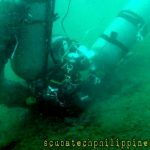 It can be run very much as an entry-level technical program (with doubles) or as a ‘tecreational’-style serious deep diving course for recreational depth limits (using less demanding redundant gas/equipment options than ‘full’ technical diving). Most experienced divers would state that the Deep Diver course “can be okay” providing the instructor supplements the training with additional knowledge and skills. Sadly, many do not bother or have insufficient experience in advanced-level diving to do so.